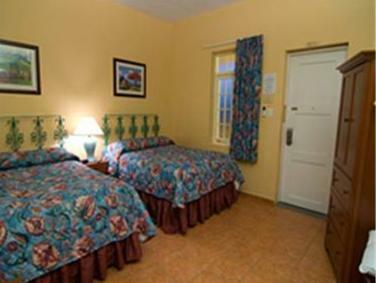 ﻿ Book Parador Guanica 1929 (Puerto Rico) - 2019 PRICES FROM $129! This Puerto Rican hotel features an on-site restaurant, hammocks, and separate adult and children’s pools. It is 3.3 km from Playa de Tamarindo and a 10-minute drive from Ensenada Bay. 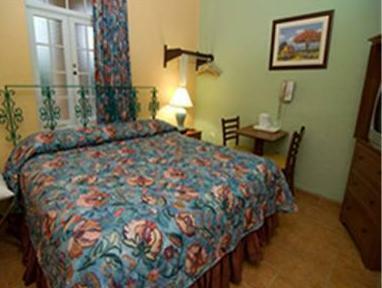 A microwave, refrigerator, and coffee maker are included in the colorful guest rooms at Parador Guánica 1929. They are equipped with air conditioning and satellite TV. The on-site gym boasts cardio machines and strength equipment. A basketball court and children’s playground are located on the property. A game room with arcade machines is available. Local seafood is served at Parador's Ensenada Restaurant. It offers an indoor dining area and a balcony with views of the bay. Downtown Ponce is a 30-minute drive from the hotel. Mercedita Airport is 45 km away. The best three things are: the hotel grounds, the view, and being a historical building. Our stay was very pleasant. Unfortunately, we used bookings.com to book this hotel, and after they put us on hold for 45+ minutes (when we were giving them a courtesy call to announce our arrival) their representative was incredibly rude to my wife and me. We will not use booking.com in the future, and we recommend others to not use their services either.